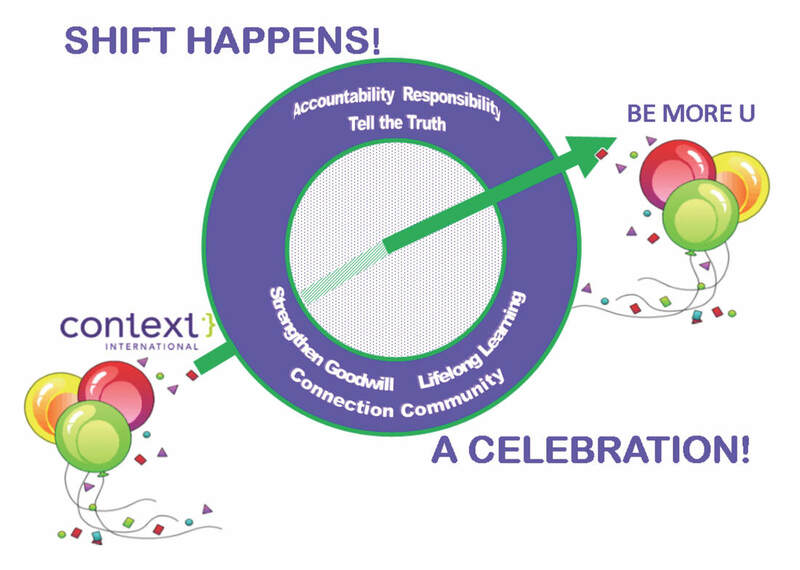 Join Context graduates, staff and volunteers as we celebrate, honor and acknowledge 40 years of Context's service to the world, and joyfully welcome in the new Be More U organization! Bring your business cards and one-minute elevator pitch to this perfect opportunity to meet and mix with other business professionals. Whether you're looking to gain new clients, hire new employees, share and idea or change up your career, this is the place to let others know what you're looking for, so they may help you reach your intentions. We have an ongoing campaign to collect non-perishable food items to provide people with hunger relief through Northwest Harvest. Please bring something to put in our donation bin when you attend an event. ​Including: food and drinks, equipment rentals, decorations and prizes.